Roof Repairs and Chimney Repairs. GS Roofing offers new roofs, roofing repairs and flat roofs from our team of roofers in Reading, Henley on Thames and throughout Berkshire. 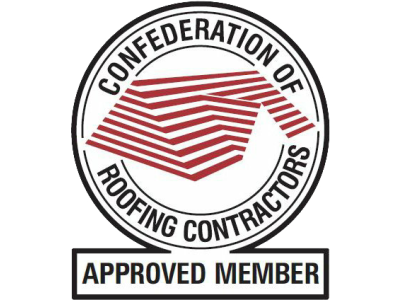 We are a family run roofing business in Reading and have over 15 years experience in providing professional roof installations, maintenance and repairs. 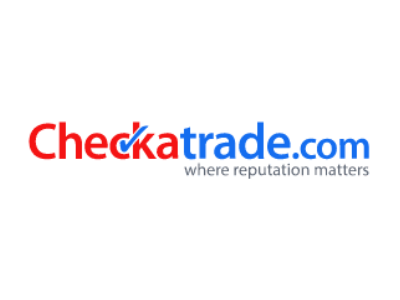 We are proud to be members of Checkatrade and have built up plenty of good honest reviews. Which shows our dedication to customer service and providing the best quality job we can. Very efficient with quoting, agreeing a date to carry out the work and keeping in contact. Small roof repair. Tidied up afterwards. Nice polite guys. Great and quick response, was given a reasonable quote and Gary came within two Hours of my call for an inspection. Work was done by his crew the next day. I would highly recommend GS Roofing for their politeness and quick response. Really happy with this. Gary and his colleague were polite, prompt and helpful with both the quote and the work; the price was good. Even when a second flat roof was discovered under the one he was removing, he carried out the extra work without complaint and didn't charge me any extra. He cleared all the rubbish and left everything neat and tidy. Excellent customer service and I have recommended him to others several times over. Can't fault these guys. I was recommended Gary from my friend and I wasn't disappointed! Roof isn't massive but was in a bad state, they stayed on late to get the job finished the same day. Arrived at 7am like arranged, was respectful of my neighbours. He visited my friend at 3am during a downpour to cover a hole in her roof so I'm sure if I have any issues he's just a phone call away. Thanks Gary your work was much appreciated. Fast, efficient, minimum mess, no leaks, no call backs to fix anything. All done in a fast and efficient time, Gary is punctual and knowledgeable, he knows what he's doing and does it at a good price. He isn't interested in making a fast buck, he's more into making long term relationships with his customers. I will be using him again. A very nice and reliable team. Did exactly what was asked. From our base in Reading our professional team of Roofers cover a radius of roughly 30 miles for all types of roofing jobs and as a family run business you can rest assured that our service is second to none. No roofing job is too small or too large and we will always provide a FREE no obligation quote for any roofing job in and around Reading. We offer a complete one stop solution for all of your roofing needs in Reading. Our roofers in Reading are highly trained and provide a highly professional service. If you are looking for a professional roofing company in Berkshire then you have come to the right place. Our roofers cover all areas of Berkshire including Reading, Ascot, Windsor, Wokingham, Aldermaston, Maidenhead, Caversham, Sandhurst, Sunningdale and Slough. Whether you are looking for a simple roofing repair or a new roof in Berkshire then our roofers can help. Please contact us today to secure your FREE no oblogation quote for your roofing project in Berkshire. Henley on Thames is famous for it's five arched bridge. Whilst we don't repair bridges we do repair roofs. Our roofing team covers Henley on Thames including Sonning Common, Lower Shiplake, Wargrave, Woodcote, Nettlebed, Crazies Hill, Kiln Green and Knowl Hill. Our roofers that cover Henley on Thames provide all types of roofing services from Heritage Roofing, Tiled and Slate Roofing, Flat Roofing to Roofing repairs. We are based in Reading and offer services throughout Berkshire.